Renowned photographer Nigel Barker invites U.S. photographers to compete to become the next Top Photographer. New York, NY—Adorama launched a brand-new reality web series competition for every type of photographer: Top Photographer with Nigel Barker. The contest is open to all photographers across the nation, from professional shooters and hobbyists to iPhoneographers. Five contestants will be handpicked by Nigel Barker to compete in the AdoramaTV original series. During the series they will be challenged to prove they have the skills and vision to become Top Photographer. “We will be casting a large net across the country looking for photographers from all walks of life and interested in all types of photography,” said Barker. “Obviously technical ability will be assessed. But most importantly I will be looking for passion, drive and the illusive ‘eye’ that all top photographers have. 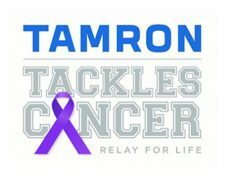 “Top Photographer is going to pit a few of the best shooters we can find from all around the country. With the aim of singling out just one to win the title of Top Photographer. And in a world of photographers, that’s no small feat,” Barker added. “Technology these days is so advanced, yet so accessible. It gives everyone the ability to become a photographer and share their own unique vision with the world,” commented Lev Peker. 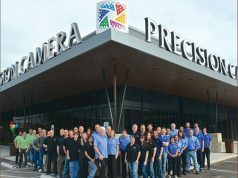 Peker is chief marketing officer of Adorama. 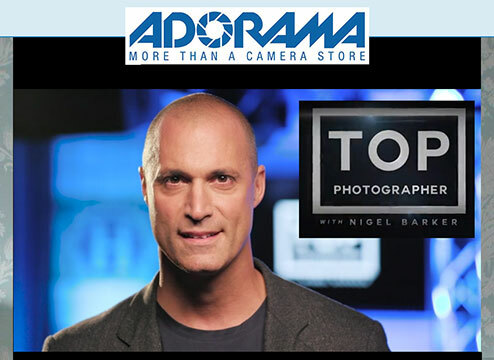 To enter for a chance to compete in Top Photographer with Nigel Barker, photographers can log onto Adorama.com. There they can upload an authentic image taken within the last five years. The 1,000 entrants who make it through to the final phase will be asked to submit a 30-second video addressing a question from Barker. Five finalists will then be chosen to move on to the filmed competition. It will take place in New York City this September. Airing in November, the finale of Top Photographer with Nigel Barker will conclude with the final two contestants competing for the title and the grand prize. Valued at $50K, the grand prize includes a photography equipment package and a photo exhibition event in New York City hosted by Nigel Barker. The event will take place after the finale airs. Nigel Barker is an internationally renowned photographer, author and filmmaker. Barker is best known for his participation on America’s Next Top Model with Tyra Banks. Also, he is currently the host of a SiriusXM weekly radio show called Gentleman’s Code. He is also the host of Oxygen’s The Face with Naomi Campbell. In addition, Barker has published two books: The Beauty Equation and Models of Influence.